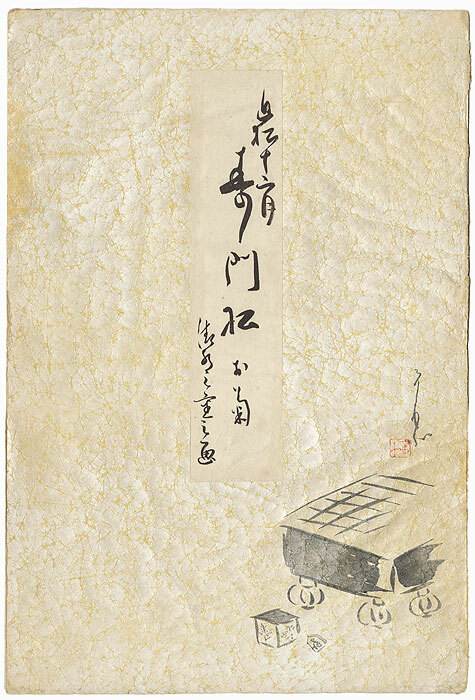 Twelve Months of Chikamatsu - Handsome print from an extremely rare series pairing scenes from Chikamatsu's plays with the twelve months of the year. Considered one of Japan's greatest dramatists, the famous playwright Chikamatsu Manzaemon (1653 - 1725) authored more than 100 plays, mainly for the bunraku puppet theater, including historical romances and domestic tragedies, often based on true events. Many of these popular tales were adapted for kabuki theater and are still performed today. 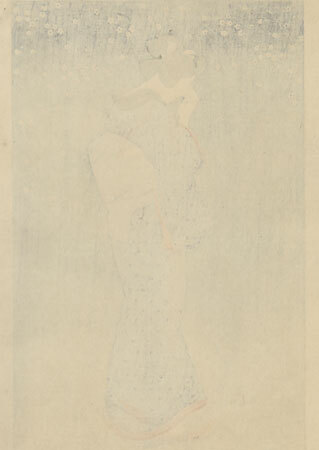 Different shin-hanga artists created designs for each month, including the masters Natori Shunsen and Torii Kiyotada IV. It was published by Kato Shogo in a limited edition of 300 prints per subject. 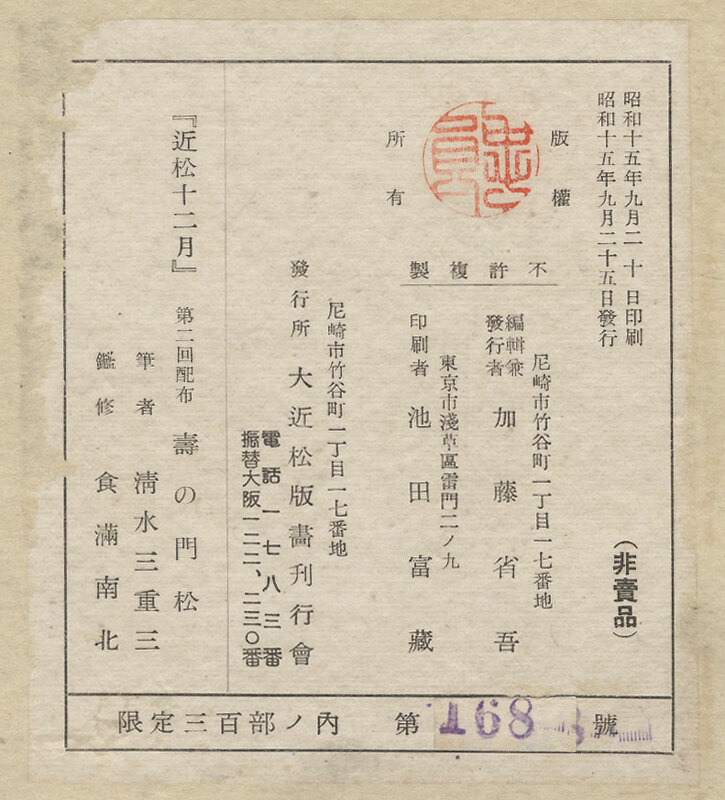 This Special presentation - Each print is accompanied by the original folder, with a label on reverse noting the number of the print. The front of each folder features a distressed mica background, with an image related to the subject at lower right. Each print is loose inside a windowed page with a tissue paper overleaf. 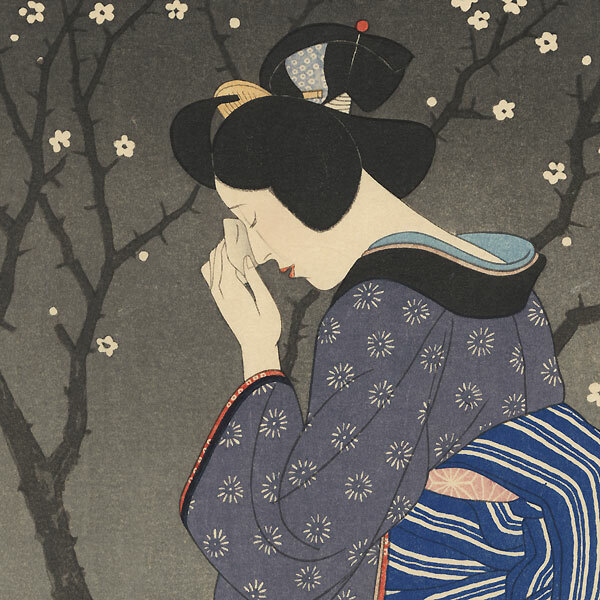 A beautiful presentation for these attractive prints with a classic Japanese theater subject. 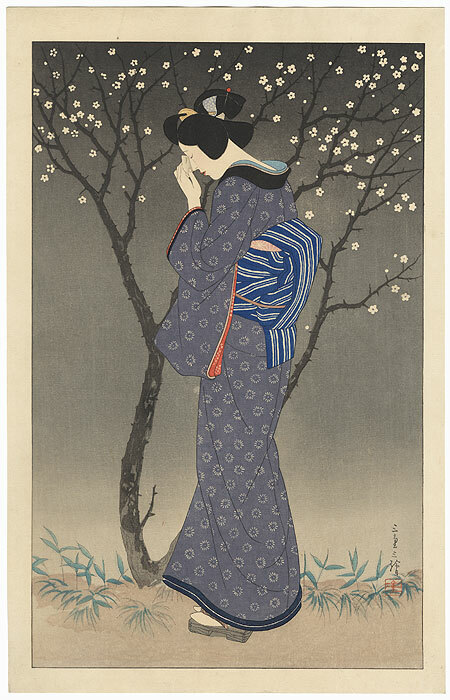 An incredible choice for a shin-hanga collector or a kabuki enthusiast. Image Size - Print 16" x 19" + margins as shown; folder 19 1/2" x 13"
Condition - This print with excellent color and detail as shown. Slight toning, small spot in margin. Please see photos for details. Nice overall.